Covers up to 3,500 sq. ft. and features unique variable jets: 12 adjustable and 1 stationary. Jet control dials offer exceptional precision. Easy-to-use rotation dials. Efficient twin turbo motor. 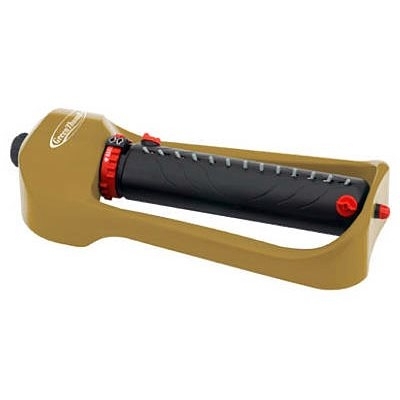 Operates at high or low pressures. Motor design resists clogs. Directional reversing without lag. Ergonomically designed connecting nut. Jet tip cleaner. 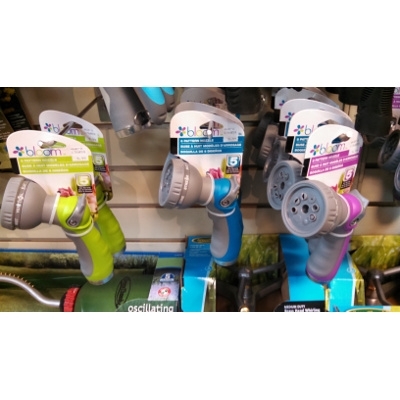 Bloom's 8-pattern Garden Hose nozzle can be adjusted to one of the 8 selectable patterns to help you with your watering needs. Choose from a Jet Stream, Cone Stream, Soaker, Mist, Flat, Full, Shower or Angled. Pick up yours today from Bob's Garden Center!